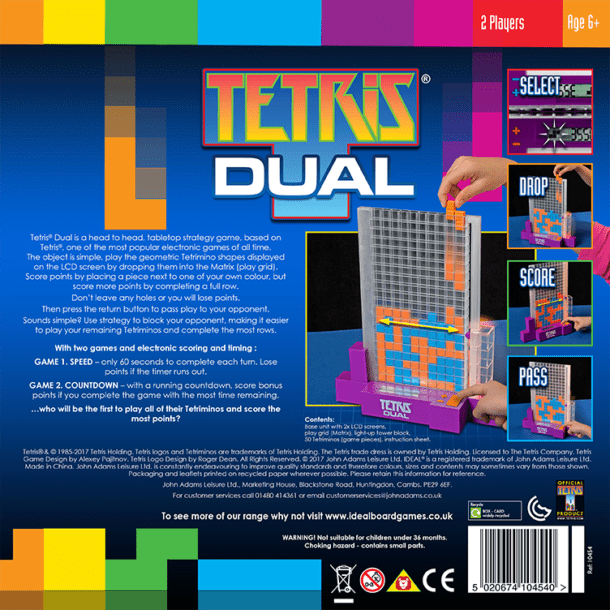 Tetris Dual is a fast head-to-head, tabletop strategy game based upon Tetris – one of the most popular electronic games of all time. The object of the game is to create the Tetrimino shapes displayed on the LCD screen, by dropping them into the play grid. Score points by placing a piece next to one of your own colour, but you can complete more points by completing a full row. Don’t leave any holes or you will lose points! 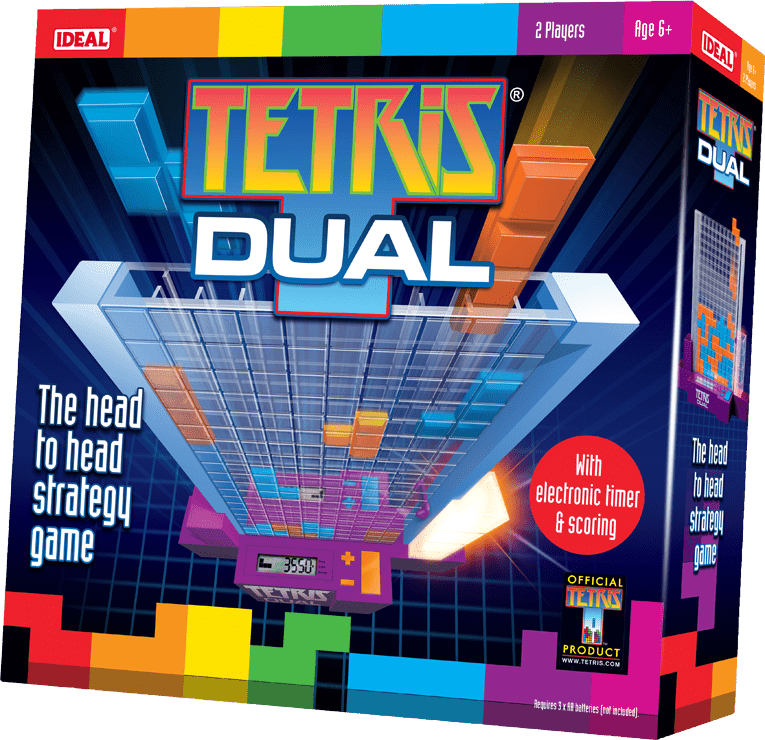 Use some strategy to block your opponent, making it easier to play your remaining Tetriminos and complete the most rows. GAME 1. Speed – Only 60 seconds to complete each turn! 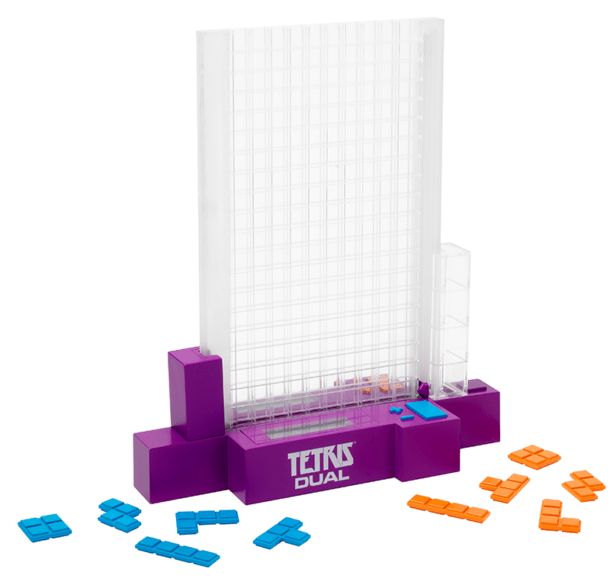 Lose points if the timer runs out. Game 2. 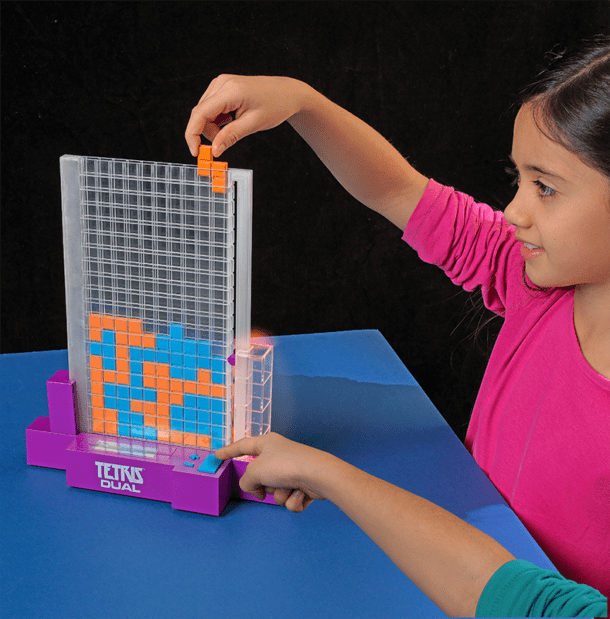 COUNTDOWN – With a running countdown, score bonus points if you complete the game with the most time remaining.